So now, 30 years later, it was an amazing experience to join a retreat where along with a thousand people who have been doing a good deal of study and practice since that time, it was possible to hear the best of Rinpoche’s teachings, only this time having come somewhat better prepared. Back in 1985, Sogyal Rinpoche was effectively a Tibetan refugee. Rinpoche (translates roughly as “precious one” – an honourific title a bit like cardinal) had been traditionally trained in Tibet, went to Catholic school in India after fleeing the Chinese invasion, studied at Cambridge, then began to teach in the Western World. These days, Sogyal Rinpoche is one of the better known Tibetan teachers in the Western World. His book, the Tibetan Book of Living and Dying was first published in 1993, and having now sold around 3.5 million copies in many languages is a true modern day spiritual classic. So I was fortunate to stumble into his first ever talk in Australia in 1985. And yes, there was a sense I was only capable of grasping a small portion of what was on offer, and yes, there are many paths to the truth, but there was also a clear sense that this man knew so much of what I was seeking on my own spiritual quest. Rinpoche gave the experiential sense that he really did know the truth of what it was to be a human being, and was capable not only of articulating what that meant, but how to realize it. So move ahead 30 years. 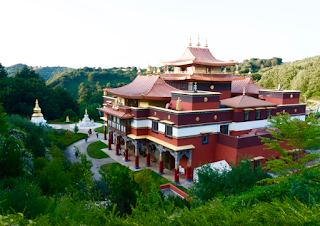 Rinpoche is now a world figure with a major retreat centre in the south of France. The European summer is retreat time, and the time when his older students gather. This year, it felt like the right time for me to go for 3 months. As it turned out, my timing was excellent. Rinpoche has been taking years to teach and prepare his students to receive the best of his teachings. This is a bit like working through any study program. There is a time where you get to where it all leads. So the retreat had several aspects. July was mostly a time of practice. Meditation, mantras, chanting and other specific practices, followed by what is called a drubchen. This was an 8 day intense group practice based on mantra recitation, chanting and imagery that I found very profound. Then time for personal practice before in August, the older students gathered for the main teaching session that extended throughout the month. 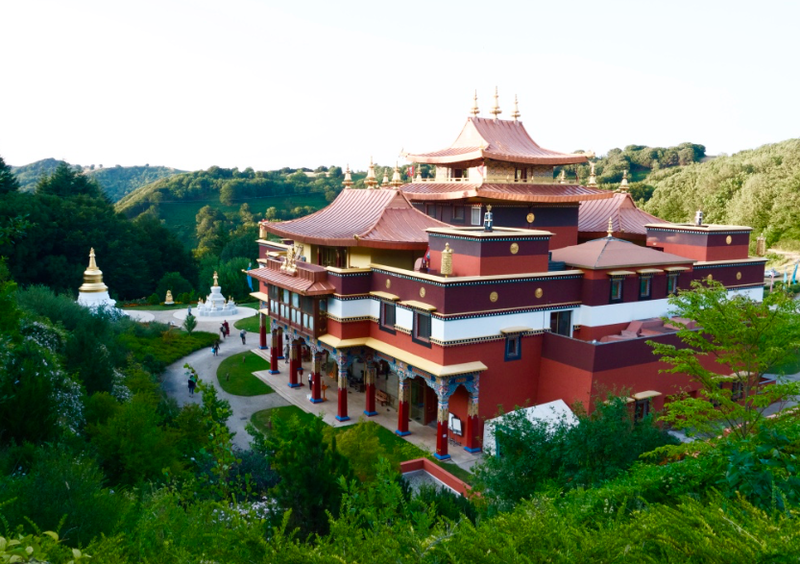 One thousand people in an authentic, traditionally designed Tibetan temple in the south of France. All in strict silence. Quite an atmosphere. Quite a precedent – nothing like it ever before I suspect. Then finally, two weeks in September of intense study. If we were to put our minds to one powerful wisdom method and work with it directly, there is a real possibility we would become enlightened. Our minds, however, are riddled with confusion and doubt. I sometimes think that doubt is an even greater block to human evolution than is desire or attachment. Our society promotes cleverness instead of wisdom, and celebrates the most superficial, harsh, and least useful aspects of our intelligence. We have become so falsely “sophisticated” and neurotic that we take doubt itself for truth, and the doubt that is nothing more than ego’s desperate attempt to defend itself from wisdom is deified as the goal and fruit of true knowledge. This form of mean-spirited doubt is the shabby emperor of samsara (the Buddhist term for what in their understanding is the cycle of conditioned existence, birth and death, which is characterized by suffering and in which one is continually reborn until attaining nirvana, or enlightenment), served by a flock of “experts” who teach us not the open-souled and generous, doubt that Buddha assured us was necessary for testing and proving the worth of the teachings, but a destructive form of doubt that leaves us nothing to believe in, nothing to hope for, and nothing to live by. I know you admire Sogyal Rinpoche very much and recommend his teachings regularly. I am just wondering if you have ever addressed the controversy surrounding Sogyal given that submitting to spiritual teachers can make followers very vulnerable and susceptible. Submitting to anything or anyone requires discrimination and is only recommended for people who are mentally stable and keen to learn. In earlier days I submitted to my main athletics coach and did exactly as he directed. I submitted to the Dean of my Veterinary Science school and did exactly as he directed. Some would have found either choice imposing and could have claimed they made me vulnerable and susceptible. What do you think?? thanks for an inspiring article. I am a student of Sogyal Rinpoche(I met you in Dzogchen Beara 2010) and have also been on an overcomingms retreat in Dublin Ireland. 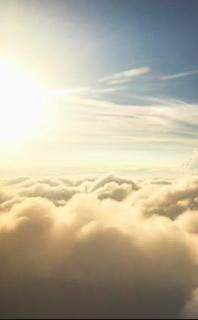 I love hearing about your experiences on retreat. What an incredible experience Ian. Congratulations on making it happen. I can only imagine the richness of it all.